Mike leans forward, and in a low, intense voice, says, “Look. It wasn’t my idea to see a couples therapist. And I hear that this therapy you do is all about emotions. Well, that about counts me out. First, I don’t have them the way she does.” He points to his wife, Emma, who’s staring angrily at the floor. “Second, I don’t want to have them or talk about them. I work through problems by just staying cool. I hold on tight and use my little gray cells.” He taps his head and sets his jaw. “Just tell me what’s wrong with us—why she’s so upset all the time—and I’ll fix the problem. Just tell me what to say, and I’ll say it. We were just fine until we started to have kids and she started complaining all the time. All this spewing of ‘feelings’ just makes things worse. It’s stupid.” He turns away from me, and the silence is filled with the sound of his wife’s weeping. The irony of this type of drama never fails to intrigue me. In one of the most emotional scenarios ever---a couple trying to talk about their distressed relationship—here’s a partner insisting that the solution to distress is to ignore the emotion! Worse still, I’m getting emotional! This client is upsetting me. I breathe in and get my balance. After all, I remind myself, what he’s saying is so normal. Mental health professionals would agree with him. In fact, I agree with him, to some extent. Venting strong, negative emotion—usually called catharsis—is nearly always a dead end. More than that, most of us are wary of strong emotions. Emotions have traditionally been seen, by philosophers like René Descartes, for example, as part of our primitive animal nature and, therefore, not to be trusted. Reason, by contrast, has long been thought to reflect our higher spiritual self. All this is now changing. We’re in the midst of a revolution, as far as emotion is concerned. Antonio Damasio, one of the great scholars in the emotion field, notes that this revolution began in the 1990s, when the inherent “irrationality” of emotion began to be questioned. We’re now at the point where emotion—the apparently crazy, irresponsible sleazebag of the psyche—has been identified as an inherently organizing force, essential to survival and the foundation of key elements of civilized society, such as moral judgment and empathy. Emotion shapes and organizes our experience and our connection to others. It readies us for specific actions; it’s the great motivator. In the case of Mike and Emma, I feel more grounded and calm when I can track exactly how Mike regulates his emotions: he dismisses and denies them. This affects how he frames his signals to his partner—a process that elicits particular negative emotional responses from her. These responses then confirm his need to “hold on tight” and deny his emotions. Emotions aren’t just inner sensations and impulses; they’re social scripts. Self and system are molded in an ongoing feedback loop, which neither Mike nor his partner are aware of. The attachment framework sets out the deep logic of seemingly unpredictable emotions and tells me how and why Mike and Emma deal with them the way they do. There are only so many ways to deal with emotional starvation and the universal experiences of rejection and abandonment. When I know the territory, I feel confident enough to explore the terrain. The brain signals that accompany emotion create what psychologist and author Daniel Goleman calls a “neural duet” with others. Much of the time, this process is implicit and instantaneous. Mike turns away when Emma asks him about his day; Emma picks up this cue and her brain frames it as “bad” and “dangerous”; Emma’s heart rate speeds up, and her body tenses; she scans for what this means and hits on “I’m losing him, he doesn’t want me”; she moves closer to Mike and, in an intense voice, says, “You never want to talk to me, anyhow”; Mike hears anger, so he closes down and shuts her out. Want to harness the power of emotion with the couples in your office? Check out this FREE CE seminar with Sue Johnson today! Once the cue has occurred, all these elements are shaped by Emma. Part of my job as an experiential therapist is to tune in to just how she does this. In this distressed relationship, she constantly monitors Mike’s responses and is exquisitely sensitive to any potential rejection from him. At the first sign of rejection, her mammalian brain lights up in alarm. Neuroscience researcher Jaak Panksepp calls this alarm “primal panic.” The neural circuit used here is the accelerated pathway through the thalamus to the amygdala; information about the responsiveness of an attachment figure has enormous survival significance, so the slower route through the reflective prefrontal cortex is bypassed. The meaning Emma makes here—that she’s unloved and Mike is cold and mean—reflects experiences that remind her how dangerous it can be to reach for others. She moves close to lessen her sense of threat and pushes for a different response from her husband. He sees her as intrusive. When he moves away, he confirms her deeper fears, and so helps to shape her ongoing experience. When Does Emotion Go Wrong? We all encounter negative experiences and emotions; that’s simply how life is. But humans have an invaluable survival adaptation: when we’re emotionally stressed and our prefrontal cortex is “faint” from hunger, we share burdens and turn to others for emotional and cognitive sustenance. When we can learn—often with the help of another who’s a “safe haven” for us and can offer an extra prefrontal cortex—that negative emotions are workable, that we can understand them and find meaningful ways to cope with and embrace them, they lose much of their toxicity. They can become, in fact, a source of aliveness. Nearly all therapy models now agree on the necessity of creating safety in session, if for no other reason than to facilitate our clients’ open exploration of their problems. This safety is particularly essential if a client is to engage with and explore difficult emotions. For an attachment-oriented therapist, it has a specific meaning: in the session, therapists have to be not just kind or empathic, but truly emotionally present and responsive. This creates a holding environment, where clients can risk engaging in what Fritz Perls, the founder of Gestalt Therapy, called the “safe adventure” of therapy. In the case of Mike and Emma, I might say to Mike softly and slowly, “I hear how much you want to fix this problem, Mike. It must be so hard to be turning on those gray cells and not to be able to fix this. It’s hard to keep your balance. So you just try to hold on really tight when Emma gets upset with you, to keep some control here, yes?” After a while, I begin to ask questions about just exactly how he “holds on tight” and what this feels like. This image offers me an emotional handle, a way into Mike’s experience of himself and his relationship. Want to use the science of attachment and the power of emotion to repair even the most troubled relationships? Check out Susan's new Master Class! Experiential therapists would be careful to validate and normalize Emma’s hurt so that she’ll continue to explore and own it. Hurt feelings have been identified as a combination of reactive anger, sadness over loss, and fear of abandonment and rejection. Attachment theory predicts that Emma’s critical pursuit is fueled by anxiety and a sense of lost connection with her partner. This knowledge guides the therapist as he or she reads Emma’s emotional cues. As Emma opens up to her emotions, she moves past her rigid, angry stance into deeper emotions of sadness and bewilderment, and begins to tell Mike about her loneliness. The expression of new emotions then evokes new responses. Mike sees her sadness and feels relief and compassion—as it’s happening, in the present. Mostly, we act as if emotions simply happen to us; we don’t see how we shape our own experience and induce negative responses from others. Viewing experience as an active construction is empowering. Clients are then able to face the ironic fact that their habitual ways of dealing with difficult emotion—ways that may have gotten them through many dark nights of the soul—now trap them and create their ongoing pain. By staying focused on Mike’s experience and continually piecing it together in vivid and specific language, the therapist helps him create a felt sense of his experience and expand it. Continual validation of his experience and reflective summaries allow him to stay engaged with, but not be overwhelmed by, his emotions. He can begin to pay attention to Emma’s messages about how his distancing affects her, and both partners can see how they generate the demand–withdraw dance, which triggers their distress. Once difficult emotions become clear and workable, clients can better hear and empathize with the other partner. They begin to own their problematic emotions, move past surface responses into deeper concerns, and take a metaperspective on inner processing and interpersonal responses. We’re in the midst of a revolution in our relationship to emotion. The idea that emotion isn’t the poor cousin to reason but a “higher order of intelligence” has been around for decades, but now the evidence for this assertion is clear. As a result of this change of perspective and the new understanding of the nature of emotion, therapists can more deliberately use these powerful, bone-deep responses to transform their clients’ lives and relationships. It’s time to see emotion for what it is: not a nebulous force to be minimized and mistrusted, but the therapist’s greatest ally in the creation of lasting change. This blog is excerpted from "The Great Motivator" by Susan Johnson. 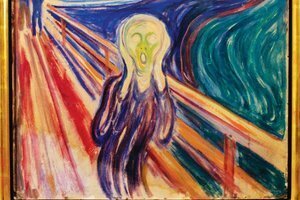 The full version is available in the May/June 2012 issue, Emotion in the Consulting Room: What Should We Do When Clients Cry or Scream at Each Other?